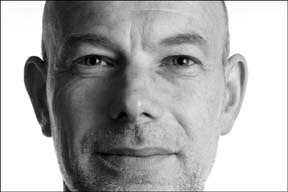 James Lawley offers psychotherapiy to individuals and couples, and coaching, research and consultancy to organisations. He is a co-developer of Symbolic Modelling and co-author (with Penny Tompkins) of Metaphors in Mind: Transformation through Symbolic Modelling, (with Marian Way) Insights in Space: How to use Clean Space to solve problems, generate ideas and spark creativity and an Online training in Clean Language and Symbolic Modelling. For a more detailed biography see about us and his blog. Clean Language has, what I think, is a great initial frame. That is ‘What would you like to have happen’. What's your first reaction on that? Thanks for your note; it has stimulated some interesting (to me, at least) thoughts on CL. “Like” is weaker than "want" or "need" (though stronger than “hope" or “wish”), so it’s likely to elicit an outcome that the client may not be fully motivated to work toward. However, my main concern is that “have happen” can be understood as passive, since there is no specification of who will be responsible for making it happen. That is congruent with CL’s fundamental position of attempting to not influence the client: "Clean Language offers a template for questions that are as free as possible of the questioner's inferences, presuppositions, mind-reading, second guessing, references and metaphors." However, I think that goal is both unattainable, undesirable, and most important, is a gross misrepresentation of what actually happens in CL. Each of the 9 basic questions elicits one of the fundamental change patterns of reframing, as do the additional questions that are used less often. Pretending to not influence the client, while using these questions that elicit specific and predictable changes is a curious contradiction. Add to that that there is no guidance in CL for deciding which question to ask the client, and you have a situation in which a huge and chaotic range of changes masquerade as non-influence. Pretending to not influence, while influencing massively and randomly, deceives both therapist and client, and only hides what is happening. Thanks again for the stimulus. I have decided to copy James Lawley on this email, in case he might be interested. We have had respectful disagreements on this issue in the past. I thought your blog on presupposition of opening questions was a master stoke and I have already circulated it to several groups. I really appreciate that you copied me in on your correspondence with Peter and have given me a chance to give my take on this CL question. The metaphor "weak/strong" comes with entailments. Given that most people would rather be “strong” and see “weak” as, well, weak, it presupposes one is better than the other, rather than one is more appropriate to some contexts. Similarly the “passive/active” metaphor is likely to have a bias towards “active” (especially in the proactive-loving world of NLP). “Of course Clean Language influences and directs attention — all language does that.” (p.52, Metaphors in Mind, 2000). CL influences for sure, and it does so in a particular way – one that I have not found in any other methodology. Thirdly, the question "And what would you like to have happen?” (note the “And” is a fundamental part of the question) needs to be seen in the historical context in which it was devised. David Grove's early work was with people who had suffered severe trauma and he was keen that his questions would not be experienced by clients as a further imposition. Rather than, weak/strong, this question can be considered ‘gentle’ compared to 'hard’ questions (e.g. What do you want?). And rather than passive/active it can be viewed as ‘permissive' rather than ‘restrictive' (i.e. narrowing the potential answer). This question was designed to give the client maximum freedom to answer without them having to meet criteria often insisted upon by therapists and coaches (e.g. Well-formed Outcomes or SMART Goals etc.). It also allows people to express the very common (and natural?) desires for someone else to change or for there to be some magical solution to their problem, etc. Using a clean approach (such as Symbolic Modelling) this aspect of a person is firstly honoured. Then, through their own self-modelling, the client usually finds the aspect of them self that has more agency (and then their statements may well conform to more active and strong criteria). This may not happen as quickly as with some other methods but they have arrived at it without having to handle the paradox of a therapist/coach asking questions which presuppose their answers should be more active and strong. Lastly, David Grove was acutely aware of the rhythm of his questions. "And what would you like to have happen?” can be asked in a wonderfully rhythmical manner (try saying it without the “And” and without the “have” to see how it loses some of its rhythm). David wanted his questions to be “agreeable” to the client - not just to their intellect, not just to their body, but also to their spirit/soul. We have conducted experiments to test the subjective experience of clean questions asked in various ways, and the way they are asked makes a big difference to how and where they are received. 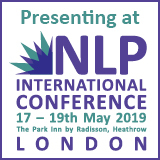 Yours, in one of the few NLP blogs that I regularly read and learn from - keep up the good work. Like James, I appreciated Steve's original blog, 'Framing What Happens In Your Sessions for Maximum Impact'. In Mentoring Coaches for ICF Credentialing, I've observed that slackness in how outcomes are addressed or framed typically seriously undermines the focus and effectiveness of a coaching session. Steve's blog really brings that home. However, Steve's response to the Clean Language pattern: '[And] what would you like to have happen?' and James' further comments while very interesting, raised some important questions for me. What bothers me is the implicit suggestion that clients' language has some absolute value, that all clients attach the same meaning to words such as 'like', 'need', or 'want'. It seems to me that, while we can generalise about shared presuppositions, implicit in what is said to a client, it is also true that every word and phrase is also received in a potentially idiosyncratic way. These, like most words in any language, may have all sorts of associations or 'anchors' for different people. As a result, some phrases or questions may be generally 'better' or more effective with quite a few people. But we can never be sure that personal associations won't trigger quite different responses in different people to the same phrases. And that means there are limits to how far we can give absolute meaning or value to a particular question or statement. Differences may be both individual and cultural. And I felt some biases discussed by James pointed as much to cultural differences and styles on either side of the Atlantic. What's important is that coach/therapist and client can hone in on and contract for a clearly understood and shared outcome. Some phrases and questions may work better than others in that regard. But I don't think there's one right question for every coach, every client, and every situation. Although, thinking that there is such a question and having a 'good' one might not be such a bad thing for most folks to get started!